1. What type of leather is recommended in the tutorial/pattern/project instructions? There are two main categories of leather that you will use in shoe and accessory making - chrome tanned and vegetable tanned leather. The names obviously refer to the tanning process (the process through which an animal skin is preserved). Traditionally, leather tanned using chromium salts (hence the name chrome tanned leather) tended to be softer, more supple and more flexible than veg tanned leather. It is available in a wide variety of colours, prints and finishes (some of which you can see in the photo at the top of this post). The combination of these characteristics makes it very useful for making shoe uppers, bags and other accessories. Leather tanned using plant matter (known as veg or vegetable tanned leather) has typically tended to be stiffer than its chrome tanned counterpart and be a light tan colour. This type of leather is suitable for dyeing, stamping and carving, and works well for making stiffer (hand sewn) bags and belts. 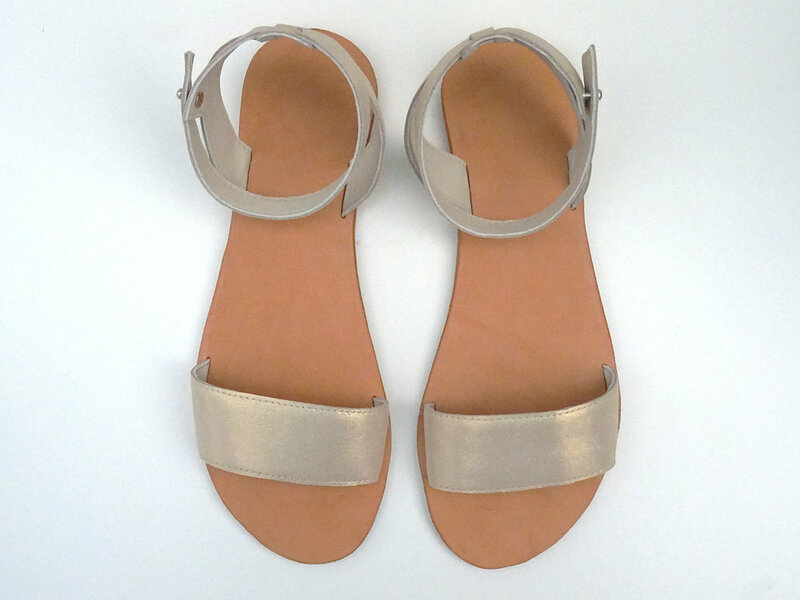 In shoemaking it’s suitable for insoles (as in the Silver Sands Sandals and Brighton Sandals), toe and heel stiffeners and even soling (although this is a special version of veg tanned leather that has been compressed to make it strong enough for soling). 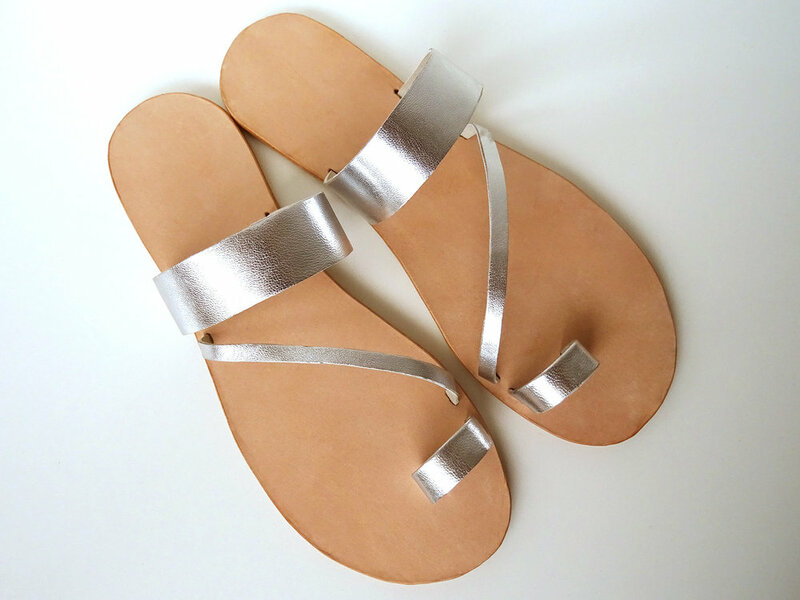 Increasingly, softer and more supple versions of veg tanned leather are also becoming more readily available, and these types can be used in the same kinds of projects as their soft and supple chrome tanned counterparts. Another option is faux leather, sometimes called pleather. This is a synthetic alternative to leather. It is generally sold on bolts (like fabric) so you can purchase the specific length you need (whereas leather is usually sold per skin or half hide with the actual amounts varying depending on the size of the animal it came from). 2. How strong is the leather? The strength of a piece of leather, and therefore what items it’s suitable to make from it, can vary according to the animal whose skin was used to make the leather. The most commonly used leathers in shoe and accessory making are from cows as they are generally quite strong. Kangaroo leather can also be used in footwear or bag making as it’s very strong, but generally lighter and thinner than leather from cows. Sheep skins tend to be thin, soft and not as strong so this type of leather is often used for linings (in both bags and shoes). You may also see sheep skins where the wool has been left on - these can be used for lovely warm sheepskin boots and slippers. Faux leather varies greatly in strength, so you need to feel it, try stretching it and see how it moves, much as you would if you were selecting a piece of fabric for a sewing project. 3. What thickness of leather is recommended in the pattern? Just as fabrics come in different weights/thicknesses (for example, cotton drill is a heavier weight fabric than cotton voile), leather too comes in different thicknesses and it’s important to know which thickness is appropriate for your project. Obviously, thicker leathers tend to provide more structure to the item you are making whereas thinner leathers tend to drape more. Depending on where you are purchasing your leather, you may find the thickness indicated in millimetres, inches or irons. 4. Does the leather have any markings on it? When you’re shopping for leather, it’s worth examining the skin you’re considering to see if there are any obvious markings that will interfere with the look of the item you’re making. The types of marks you might find are scars from scratches or bites, or in some cases even branding marks. Think about where your pattern pieces might fit on that particular piece of leather, and whether or not you can work around any obvious marks, or perhaps even use them as part of your overall design (having marks on your leather item isn't necessarily a problem, it's just a matter of personal preference). This shouldn’t be an issue for faux leather, but it always pays to check the piece you’re buying to make sure there are not faults in the fabric. 5. Does the appearance of the leather fit the overall look you are trying to achieve? Finally, and this may seem pretty obvious, ask yourself if the piece of leather you are considering suits the look and feel of the item you are planning to make. Does the colour, texture and/or pattern on the leather fit the look and feel you are wanting? Remember that any thicknesses or other characteristics suggested in the pattern are only recommendations, and while they are recommended for a reason it may be okay to vary from that slightly if the leather you like or have available is slightly different. There is usually a way to work around the effect a different leather will have on the construction and functionality of the item you're making. Similarly, if you would prefer to use faux leather for your project, just look for a piece that has characteristics as close as possible to the type of leather recommended for the project, as well as having a look and feel that you like. Hopefully thinking through each of these five questions will help you purchase the perfect piece of leather for your next project. Happy making! Hi! And welcome to my blog. 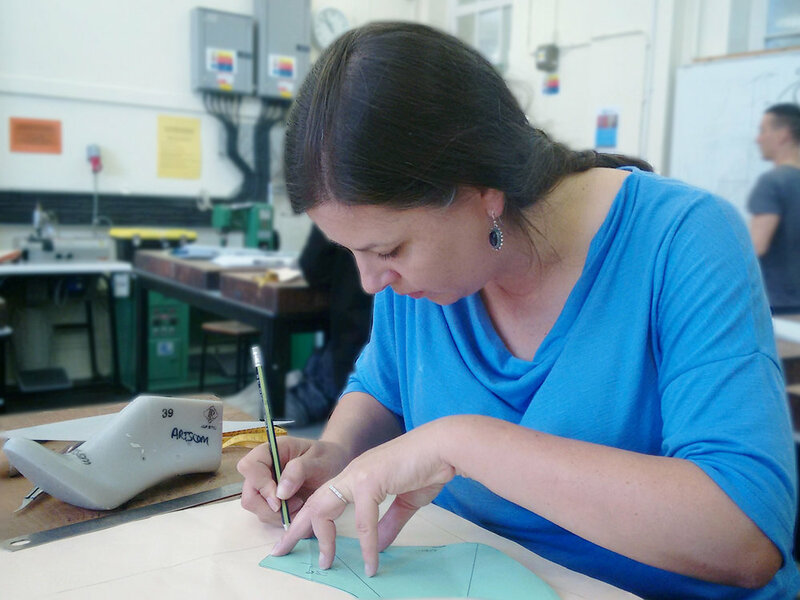 I’m Louise, a trained milliner and shoemaker, and an avid dressmaker. I have loved crafting and making for as long as I can remember, and this blog is a place for me to share my love of crafting with you. You’ll find links to patterns and tutorials I’ve created to help you learn to make your own shoes and accessories, as well as blog posts with information to help you get started. Happy making! What glues can I use for making shoes?